tax deduction | TaxConnections is a where to find leading tax experts and tax resources worldwide. Maybe you cater for your friends, maybe you make jewelry, maybe you sell your artwork, maybe you have a lemonade stand- regardless of what you do, do you know how the IRS views this? Here are some tips on how to tell if your activity is a business or a hobby and the tax implications of each. 1. The IRS has a checklist for determining if your activity is a business or hobby. The list is basically intent. Is this for fun or do you intend to make a profit? Do you want to depend on the income? What is the intent of your activity? 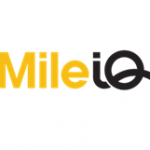 Now that MileIQ for Canada is live, it’s easier than ever to claim the mileage deduction you deserve. Be sure you’re aware of the CRA mileage log requirements before you claim motor vehicle expenses on your taxes. If you drive your car for work, you can take a mileage deduction on your taxes. Yet, many people don’t know the IRS has some strict rules on what is deductible business driving. There’s no such thing as a “commuting to work tax deduction.” But there are circumstances where your drive from home could be tax deductible. Learn about the IRS commuting rule.